Droga5 London has won the advertising account for Peroni Nastro Azzurro in a competitive pitch, following the beer brand's acquisition by Asahi Group. The account moves from M&C Saatchi, which has held the business since 2012, in a pitch process run through The Observatory International. Asahi acquired the Peroni, Grolsch and Meantime brands in 2016 from SABMiller. SABMiller was required to sell the brands for competition reasons ahead of its own £79bn acquisition by Anheuser-Busch InBev. A statement from Peroni confirmed the win and added: "Droga5’s work will begin immediately, with the brief to further enhance the success of Peroni in the UK super-premium beer category." 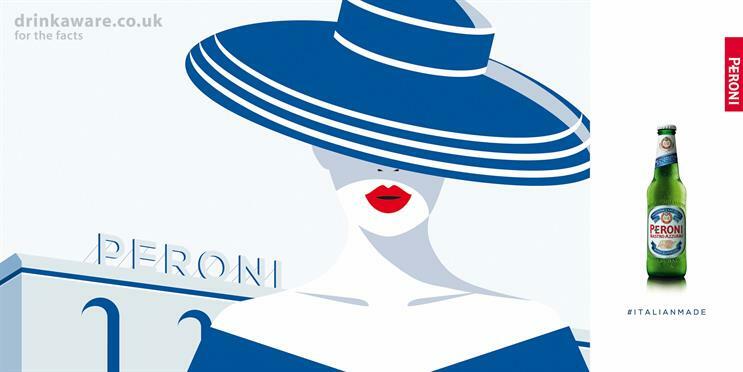 In June, Peroni kicked off an outdoor campaign that harked back to its Italian heritage and used a style reminiscent of the French illustrator Malika Favre. It was created in-house. Does Peroni's premium positioning extend to its social presence?